There’s something wonderfully satisfying about visiting rose bushes in the early morning sunshine, just after the dew has dried, when the fragrance of their booms is the richest. Your spirits lift, as you breathe deeply of the rose scent. Jangled nerves relax, your heart rate slows, and your spirit is refreshed as you pick. Unfortunately many roses – especially the old fashioned fragrant types, only bloom once, in June. I wanted to save this fragrance and savour it all winter long, a treasured gift to remember summer. Roses are a relaxing nervine. They are mildly sedative and anti-inflammatory. They open and strengthen the heart, as many rose-family plants do, like hawthorn. 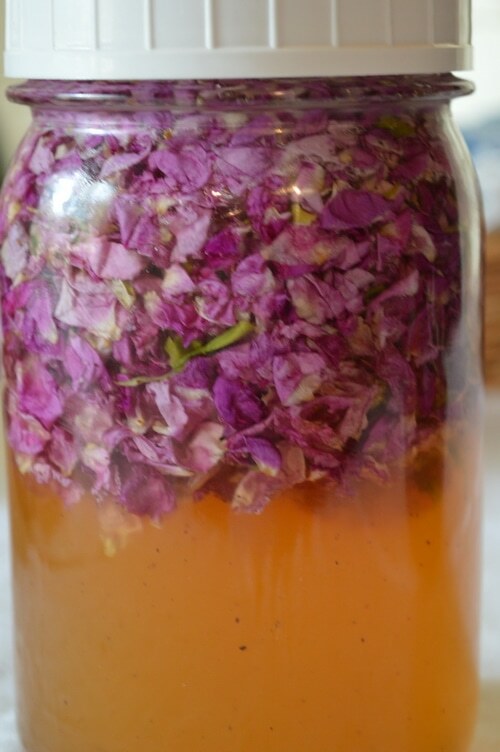 While you can harvest and dry the closed rose buds for tea, and the rose hips for syrup and jam, or even buy commercial rose water, this recipe uses freshly picked rose petals for a sweet infusion. 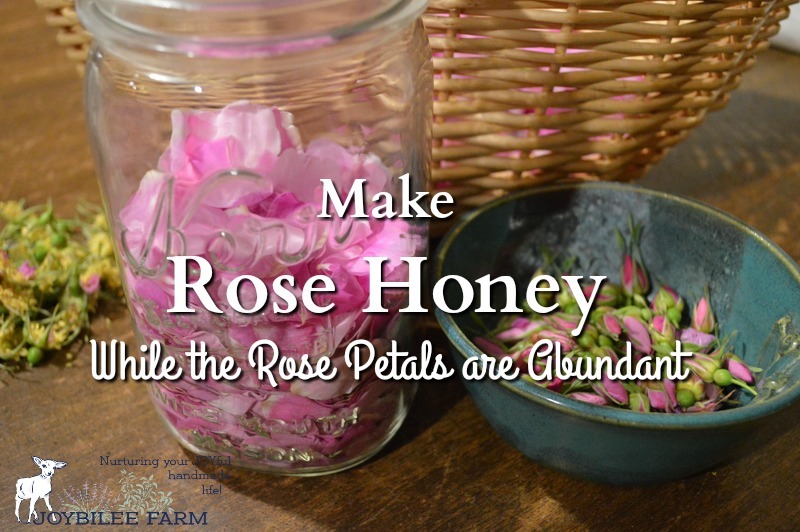 While your roses are prime, use the petals from some of the more fragrant varieties to make rose infused honey. Preserve the rose scent in honey for a few extra weeks, after the blossoms have faded. I used wild roses for this project, but you can use any fragrant roses that you have provided that you follow a few safety rules. 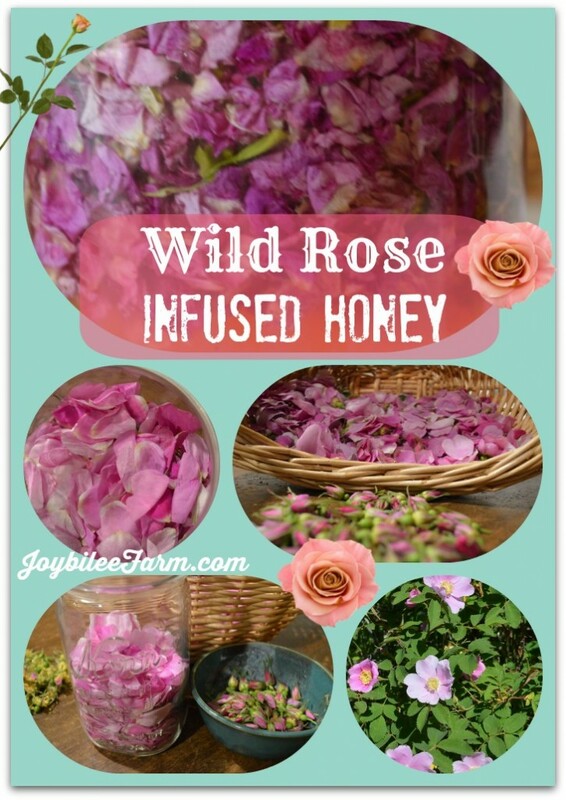 Rose infused honey is wonderful in tea, or by the spoonful, anytime you’d use honey. After several hours the rose petals will rise to the top of the jar. Stir them back into the honey and top up with more warmed honey, to completely cover the rose petals. Leave in a warm place for 1 month, stirring when you think of it. After a month, warm the jar in a pot of hot water (do not boil). Strain the warmed honey through a course sieve into a clean jar. Press the rose petals to get any remaining honey out of them. Cap the jar and your honey is ready to use. 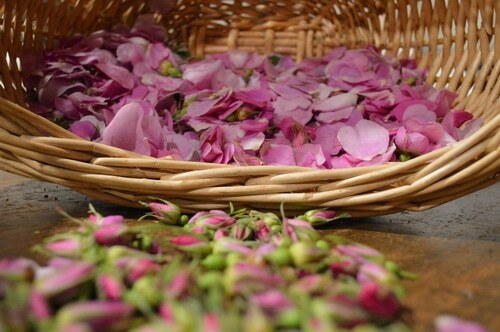 If you can’t get fresh rose petals you can use dried. 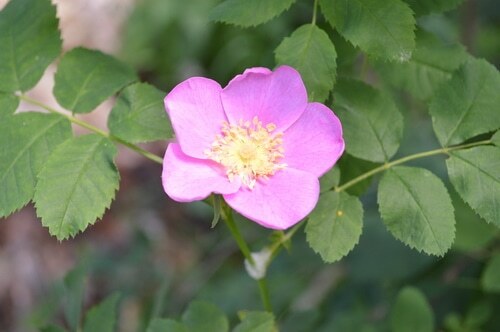 My favorite source for fresh, organic herbs is Mountain Rose. They carry dried roses for tea, in their bulk herbs. 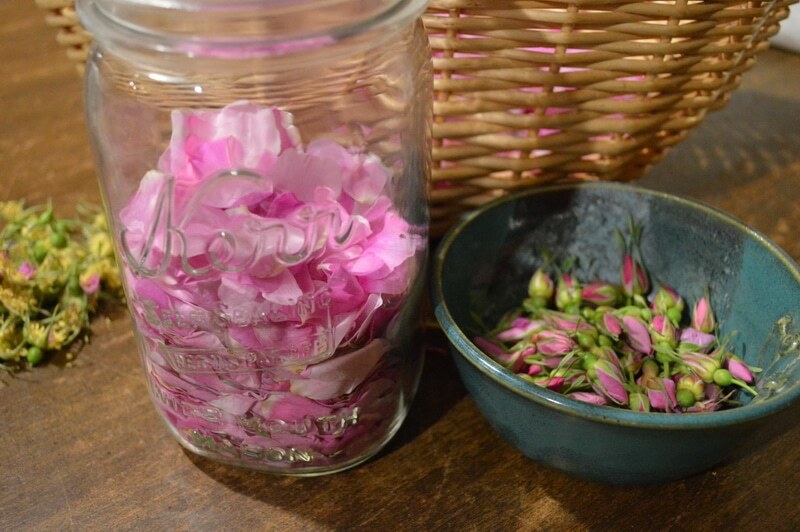 If you are using dried roses fill the jar only half full. Dried roses will expand and fill the jar. How would you use this amazing gift of rose infused honey? do I need to sterile the jar? what a beautiful recipe! there really is something magical about roses. I just planted my first apothecary rose this spring and i’m so looking forward to making some rose honey myself now. Thanks for sharing on Wildcrafting Wednesdays! I hope you’ll join us again and share more of your awesome posts next week. Awesome. I want to get a couple of apothecary roses for Joybilee Farm, too. Heady fragrance.